MWM NEWS BLOG: Mandalas : Micro + Macro. 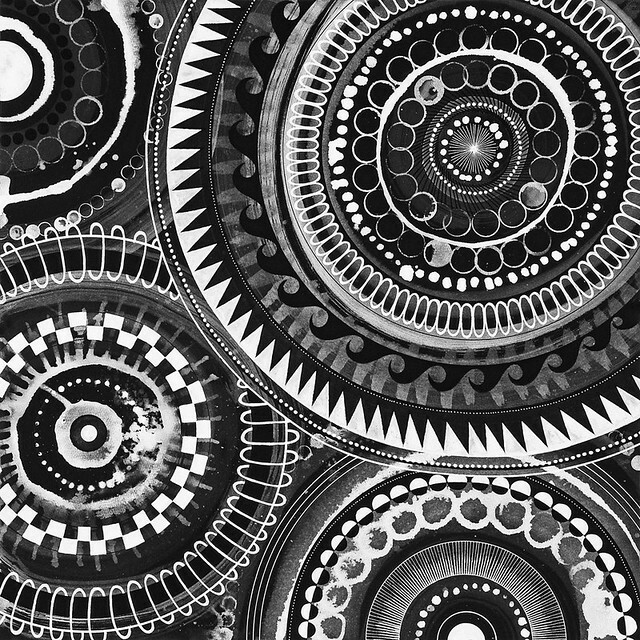 Mandalas : Micro + Macro. Here's a preview of a new series I just wrapped up last weekend. White ink on black watercolor paper. The series is 5 strong and explores different vantage points on an infinite sea of Mandalas. I will be releasing a limited run set of signed/numbered posters of all 5 of them at my Online Store in a few weeks. Working in Black & White is always a good time! Zoom.